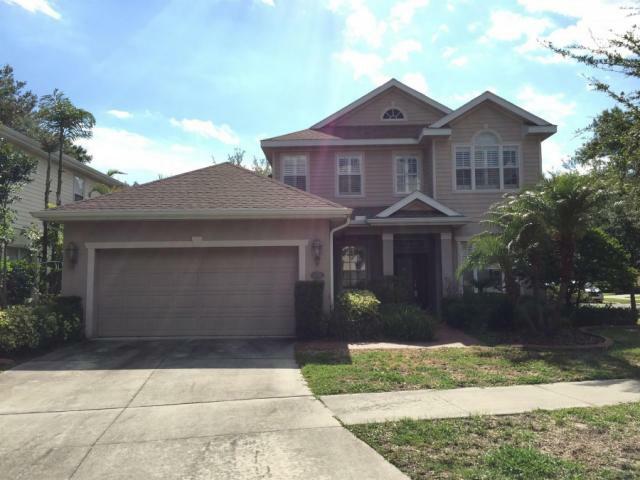 Charming 4 bedroom home located in a private subdivision with no traffic in South Tampa! This home offers an open floor plan and back yard big enough to place a pool. Kitchen offers granite counters, stainless steel appliances and lots of cabinet space. Office or study offered on the first floor as well as a spacious master suite including a big master bath. Hard wood flooring throughout, tray ceilings, crown molding and storage offered. This price is a STEAL.. don't miss out. Call for your showing today before its gone! At least 44 Trulia users voted on each feature. "My commute is with out stress or heavy traffic to and from the most popular areas and workplaces it’s a great commute wouldn’t trade it for the cross town or 275 or four for anything I am in a perfect location"
"The residents of my neighborhood are friendly and supportive. I am a US Army Soldier and often leave for weeks at a time. I can count on my neighbors to keep a watchful eye on my home. I love South Tampa especially during the holiday season. " "Spacious living townhome that is clean and convenient to local places and is also a quiet place to live." 3208 Park Green Dr, Tampa, FL 33611 is a 4 bedroom, 3 bathroom, 2,847 sqft single-family home built in 2006. 3208 Park Green Dr is located in Gandy-Sun Bay South, Tampa. This property is not currently available for sale. 3208 Park Green Dr was last sold on Dec 1, 2015 for $468,125 (10% lower than the asking price of $515,000). The current Trulia Estimate for 3208 Park Green Dr is $527,152.